Hi Loves wow it has been too long! I had a busy week covering the AIFW for the IC and ended the week with the Modefabriek fair in Amsterdam. I met a lot of exciting bloggers and Fashion people during the events. I even got to model for this amazing French accessory designer called Killian Loddo. It has been my first Fashion Week and now I'm hungry for more!! 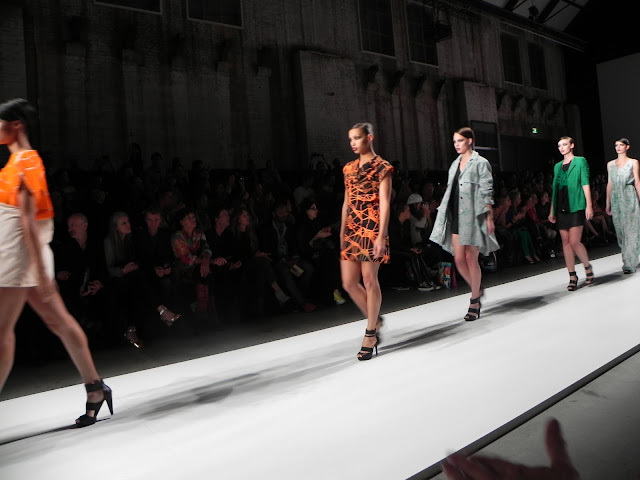 I hope to attend this year's Sweden Fashion week but till then check out my coverage on my favourite fashion shows during this year's Amsterdam Fashion Week. Winde Rienstra is the kind of designer that sees fashion more as a visual expression than just wearable clothes. Creativity and craftmenships goes hand in hand when it comes to her designs. The lights went off and as I saw a man standing in the front playing the violin, the first model came up in this amazing architectural harnass made out of leather and woven threads. The colors were simple but luxurious in beige, white and gold accents. The collection looked a bit like the early work of Iris van Herpen. Architecture meets Fashion in a distinct elegant way. The collection called 11:11 was inspired by an higher level of the conscious. Rienstra’s idea behind it was to visualize the energy of a person meditating. Truly inspiring modern sensibility. 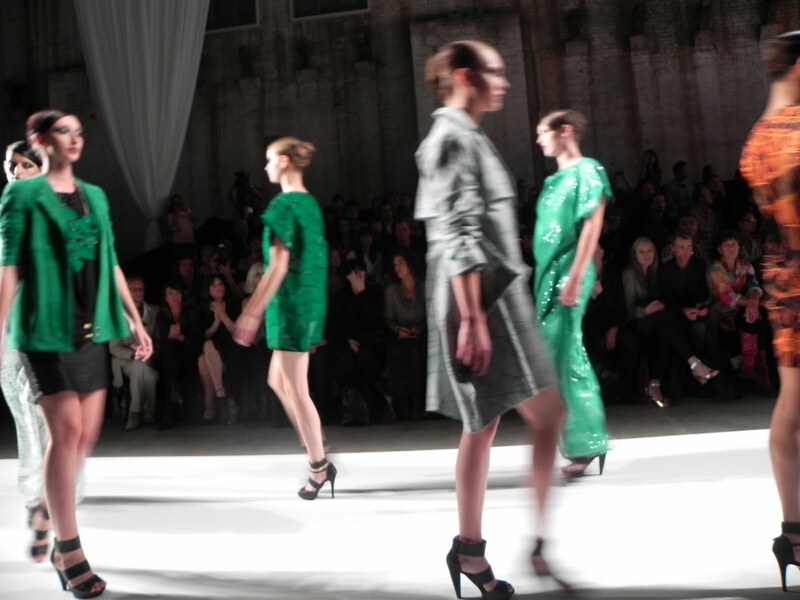 As my first day of the AIFW almost came to an end, I attended one last show, Generation 12. 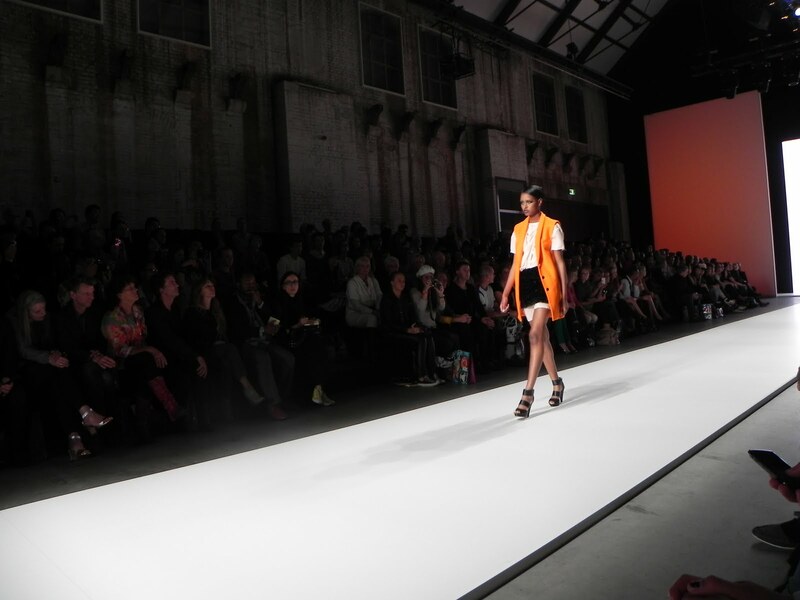 The designers were Artez graduates, a top notch Fashion academy in the Netherlands. And to my surprise when I was opening the invitation my seat was at the frontrow! After a whole day of standing and jumping for some good picture I had the pleasure to take a comfortable seat… with goodiebag! So with a smile I looked at the creations of the 5 designers Zheng Zheng, Yona van Mansfeld, Hanna Siwecki, Jonathan Christopher en Nick Rosenboom. Their collections were diverse and innovative. It went from romantic influences to bright color blocking. My favourite was the one of Hanna Siwecki. Her collection was inspired by the social media. “The current generation has grown up with the internet, integrating it into their lives until their online profiles develop into something bigger than their actual selves”, says the designer. In this collection Siwecki used bright neon plastiglass on a dress, first as a necklace and then she had a creation which consisted primarily of these neon plastic triangles. The pattern and shape of the plastiglass symbolizes how we put the image we create on social media of ourselves in a very subjective way. What I liked was the fact that she was daring in creating, my favorite was the bright green dress made out of transparent sequins. Last but not least the Sage and Ivy show. Sage and Ivy is a sustainable fashion label that is made of ECO-certified materials. The name Sage and Ivy symbolizes wisdom and eternity. Alexa van Engelen, the Dutch designer behind the brand, debuted in January 2010 with her ​​label on Premium Exhibition in Berlin. In her new collection, Alexa wants to take you to her dreamworld and I already heard the buzz that this show would be a spectacle. Alexa creates beauty and celebrates femininity in her garments. Each design underlines effortless sensuality and awareness. The event took place outside which was a relieve for Alexa because the weather was amazingly sunny. The guest were all arranged alongside a pond of water. I saw that there was no room for the models to walk. And as the music began the models came up and walked over the water. It was amazing, they had a construction build under the water. The clothes were romantic and dreamy, beautiful made garments with details like draping and braids. The long transparent fabrics in soft beige and grey colors and the water effect made it all complete. Make up was neutral and hair straight up in a knot, the models walked bare footed down the runway. Everything came together in one of the most memorable shows of the AIFW. So creative and innovant, I luv'. Clothes in water, it seems to be so pure.